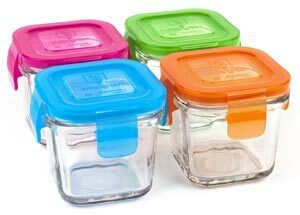 BPA free freezer storage containers are fast gaining popularity among health-conscious consumers. And certain lightweight and strong plastics that are heat resistant and shatter proof. However, although not conclusive, some studies have found that BPA can seep into food with negative health consequences, such as cancer and birth deformities. It is therefore better to err on the side of caution by opting for BPA free freezer storage containers. 2 x 7 cups (1.7 liter). 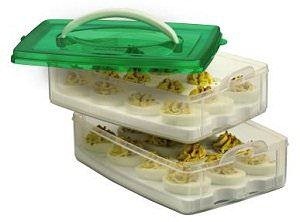 The graduated size containers nest for compact storage. The containers are also all square, which means they occupy less freezer space than round containers and are an excellent option if you have a small or medium sized freezer. 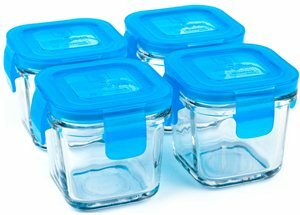 These lids snap together as well as to the corresponding containers, so there is no need to rummage through drawers looking for these lids. Besides being easy to find, they are red and stylish, too. What's more, each container is remarkably clear, making its contents easy to identify. 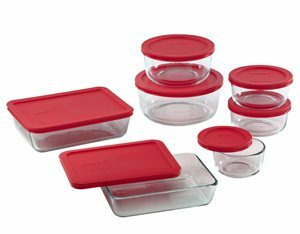 And as is the case with all Rubbermaid containers, this set isn't just freezer-safe, it is microwave and dishwasher-safe as well. The best part is that as the entire set costs under $27.00, each freezer container costs less than $0.65, effectively making it a steal. There are several reasons the 6-piece World Kitchen Pyrex set is a customer favorite. It's glassware so you can be pretty sure it's BPA-free. So, questionable chemicals (and odors) won't leach into your food. 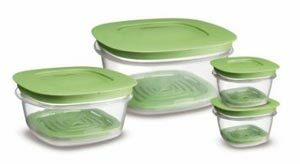 This set is freezer, microwave and dishwasher safe and investing in it eliminates the hassle of moving food to another container to warm it. Each of the containers sports a stunning red lid, so you can be sure it will look good pretty much anywhere. They also lessen household chores related to handwashing dishes. And, it's made in USA so if you want to buy American, this is a good choice. 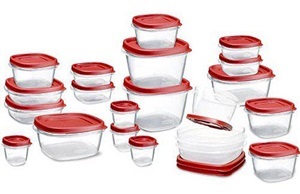 The Rubbermaid 12-Piece Premier set is yet another Rubbermaid star in the freezer storage container galaxy. The set of containers is made with Tritan plastic which is associated with an array of desirable qualities. Besides being BPA-free, it resists odors and stains, is impact resistant and is famed to be more transparent than glass. The set includes one 3-cup container, one 5-cup container plus two 1-1/4-cup and two 2-cup containers. All containers come with Flex and Seal lids that, as the name suggests, are easy to seal and remove. And, these lids are categorized as "Easy Find" because they snap to the each other and to the bottom of their respective containers. Another space saving design is that the containers nest neatly inside each other. To cap these benefits, these containers can go from the freezer to the microwave, dining table and dishwasher without caving in. Yes, Rubbermaid clearly dominates this list! 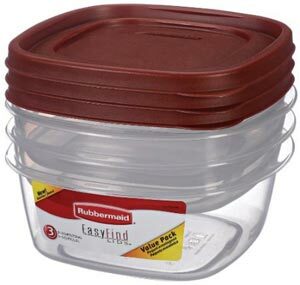 These BPA-free Rubbermaid storage value-pack containers come in 3- and 5-cup sizes. 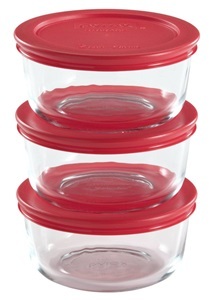 The dimensions of the 3 cup containers are 7" x 7" x 2.3" while the 5 cup containers measure 7" x 7" x 3.4". The BPA free freezer storage containers have crystal clear bases and clear walls, taking the guess work out of identifying their contents. 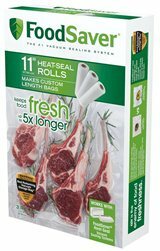 They are square shaped and stackable, making them a great aid for food organization. The lids nest to the container bases, which is a great space saving design for storing them, especially in nifty spaces. Besides the freezer, they are safe to use in refrigerator, microwave and dishwasher. So they will not unnecessarily increase your work load by, for example, requiring you to use different crockery to warm and serve. Or to handwash them. 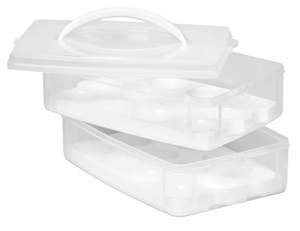 Each Snapware Snap 'n Stack egg container set comes with 2 removable, stackable egg holders. Each of these egg holders can hold 6 whole eggs or 12 deviled eggs. The set isn't just for eggs though and will happily take cupcakes, cheese, meatballs, spaghetti or whatever else you fancy. The lids thoughtfully sport handles, making them easy to tote around to picnics, parties or potlucks. And because they are BPA free, you can be sure you're your food will not get contaminated during storage. What's more, they aren't just perfect for use in the freezer, they are microwave safe, too. The best evidence that the Snap 'n Stack set is a bestseller? It's often out of stock because it's snapped up quickly when they are available. So hurry and snap it up—it's probably the cheapest BPA free container set you will find anywhere. 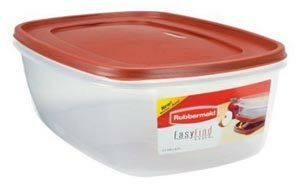 This Rubbermaid BPA free freezer storage container (7J77) is so large that it can easily gobble up 40 cups of food. Measuring about 16-1/2" x11-1/2"x 5-3/5", it can hold up to 40 cups! it is a good option to explore if you are looking for a reliable large freezer storage container. Its super-clear base ensures easy identification of the container contents. 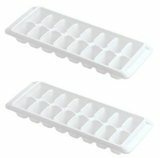 Because it is rectangular, it's stackable and several of these would allow optimum use of your freezer space. Plus, the lid fits multiple-size bases with this space-efficient design coming in particularly handy when this and similar containers need to be stored away. And, it is safe to use, not just in the freezer and refrigerator but the microwave, and dishwasher as well. So if you find dishwashing a chore, you'll be pleased to learn that this container both reduces the number of dirty utensils but can also simply be tossed into the dishwasher. That way, it gets spick and span without getting your hands wet—and chipping your nails. 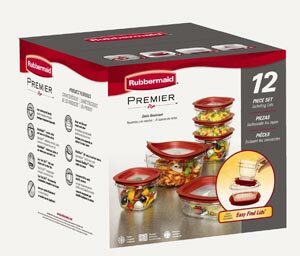 This Rubbermaid 7J93 produce saver square food storage set contains 8 pieces. These include: two 2-cup, one 5-cup, and one 14-cup BPA free freezer storage containers, plus four lids. The innovative tray and vent system helps to considerably extend the life of your produce, saving you money by reducing the risk of spoiled, discarded food. The incredibly clear container bases allow for better visibility, enabling you to better recognize the contents. So if you are looking for a versatile container set, this one is right up your alley. 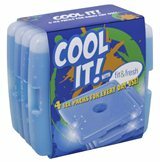 The Wean Green 4-Pack cubes are excellent BPA free freezer storage containers. The set contains 4 classy glass cubes, each with a capacity of 4 oz (120 ml). Because they are free of BPA, Phthalate and PVC, they are ideal for keeping homemade baby food fresh and nutritious but also free from harmful chemicals. They are also durable and leak-proof, and the glass is temperature-resistant. The silicon in the lids creates a leak proof seal and the smart lock lids are easy to prize open. Now you have no excuse for your peas smelling like the garlic that preceded them in the container. They are freezer, microwave and dishwasher safe and will comfortably go from the freezer to the microwave and back to the freezer. If you are a conservationist, you’ll be pleased to hear that these Wean cubes are 100% reusable and 100% recyclable (in fact, they are made from recycled glass). They are therefore a great investment if you are keen to create a cleaner environment for your children and future generations. A nice touch is that you besides the "technicolor" option, you can choose an all-pea, all-blueberry, all-carrot or all-raspberry set.